GORDON ELLIOTT is ready to play one of his trump cards at Naas on Sunday as he bids to break Willie Mullins' stranglehold on the Grade 1 Lawlor's Hotel Novice Hurdle. Unbeaten hurdler Death Duty, who Elliott has described as "definitely his best novice hurdler", will take his next step up the ladder in the 2m4f contest, for which six runners have been declared. Mullins has won the race five times in the last seven years and relies on Augusta Kate, whose star-studded ownership syndicate includes Alan Shearer, Ant and Dec and Lee Westwood, and Turcagua as he searches for a fourth straight success. Elliott is double-handed too with fellow Gigginstown House Stud-owned Blood Crazed Tiger joining Death Duty, who is 4-7 favourite with Paddy Power. Eddie O'Leary, racing manager for the leading owners, said: "Death Duty is more next year's horse as we always felt that he was a chaser. "He stays well, and with the speed he has shown over his hurdles so far, he will also have the option of the Neptune Novices' Hurdle as well as the Albert Bartlett at Cheltenham. "Hopefully, with any luck at all, he will prove to be the best of ours but Willie has a great record in this race as well and he will be a tough nut to crack." The Gigginstown silks will be carried by a third runner in the shape of the Noel Meade-trained Bel Ami De Sivola. O'Leary added: "Blood Crazed Tiger and Bel Ami De Sivola should also run well. 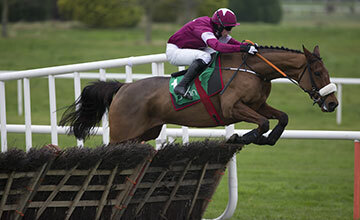 However, Death Duty has looked a class above so far and we hope he can improve again on Sunday at Naas." Ruby Walsh will ride Augusta Kate for Mullins and the pair will also join forces with impressive Punchestown winner American Tom in the 2m novice chase earlier on the card. Gigginstown field Stone Hard and Road To Respect in opposition and O'Leary said: "Road To Respect would be suited by heavier ground and he will like the big galloping track. He has won around Naas before. Meanwhile, Stone Hard is classy on his day, but he has some problems." The ground at Naas was described as soft on Friday.